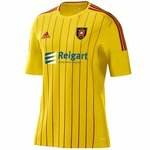 https://www.albionrovers.info | Albion Rovers F.C. The information shown on the new website regarding the Squad Fund is entirely due to the kind assistance of Mr. Bill Walker, who runs the Squad Fund in association with the Supporters' Trust. www.albionrovers.info - the recently created Albion Rovers (unofficial)Mr. Bill Walker, Secretary of the Albion Rovers Supporters' Trust. 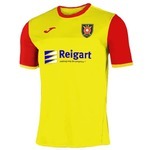 Please note that Bill runs the squad fund in association with the trust but isn't Secretary of the Albion Rovers Supporters' Trust or hold any position within it.